The Mohammed bin Rashid Initiative for Global Prosperity, an initiative of the Global Manufacturing and Industrialisation Summit, has launched four Global Maker Challenges at the 2018 Solve Challenge Finals hosted by MIT Solve in New York. With monetary prizes, mentorship, and access to global organisations, worth up to USD $1 million dollars, the Mohammed bin Rashid Initiative for Global Prosperity brings together a community of 'makers' inspired to solve some of the world's toughest societal challenges that affect over 1 billion people globally. Aligning with the United Nations Sustainable Development Goals, the initiative aims to empower entrepreneurs, innovators and technologists to drive social innovation and advance global prosperity. 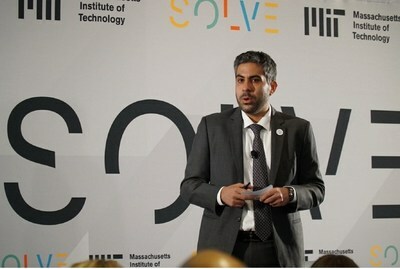 The four Global Maker Challenges were identified in partnership with eight UN agencies and NGOs, and were determined through an intense roadshow in Boston, Vienna and Cairo led by MIT Solve - a social enterprise that is associated with the Massachusetts Institute of Technology. The challenge design workshops brought together over 300 global experts from governments, global organisations and private corporations, as well as start-up incubators and academic researchers. A humanitarian champion who has impacted and improved the lives of over 130 million people across 116 countries, His Highness Sheikh Mohammed bin Rashid Al Maktoum, Vice President and Prime Minister of the Uited Arab Emirates, and Ruler of Dubai, has placed great emphasis on the role of innovation to reshape industries, and strengthen economies and societies. The Mohammed bin Rashid Initiative for Global Prosperity combines the Global Maker Challenge, an online open-innovation platform designed to promote and accelerate global prosperity through product innovation; and the Global Prosperity Award, a prestigious global accolade that recognizes and rewards corporate social responsibility that advances resilience, community, harmony and dignity across the world. Digital Divide and Digital Literacy: How can people in remote areas access and use reliable and affordable internet connectivity? Rural Transformation and Zero Hunger: How can farmers in less developed countries increase food and cash crop yields through advanced methods of sustainable agricultural production and preservation? Sustainable Cities: How can cities leverage technology to reduce the spread of infectious diseases and prevent the next pandemic? During his keynote speech at the launch, Badr Al Olama, Head of the Organising Committee for the Global Manufacturing and Industrialisation Summit (GMIS), said: "The United Arab Emirates has placed innovation at the core of its manufacturing strategy since the father of our nation set out his vision for the country almost 100 years ago. By chartering a global path towards inclusive and sustainable industrial development, we must create an ecosystem that thrives on technology, creativity and community. "Through the Mohammed bin Rashid Initiative for Global Prosperity, we can tackle key issues such as poverty, hunger, education and environmental sustainability. This is the beginning of a new movement, one where we align the aspirations of millennials with global good, channeling their energy and creativity to bring about opportunities for those that are in need, and in the communities that need it most." A gift from His Highness Sheikh Mohammed bin Rashid Al-Maktoum, Vice President and Prime Minister of the United Arab Emirates, and Ruler of Dubai, to the world - The Mohammed bin Rashid (MBR) Initiative for Global Prosperity is an ambitious and impactful worldwide extension of the UAE's own transformational vision, built on four core values: resilience, community, harmony, and dignity. It combines the MBR Global Maker Challenge - an online open-innovation platform for 'makers' and innovators to solve specific real-world challenges, and the MBR Global Prosperity Award - a prestigious global accolade that recognizes and rewards social innovation brought by manufacturing for the betterment of humanity. The initiative brings together companies, startups and entrepreneurs, governments and NGOs to create an ecosystem designed to enable new businesses to be built, new jobs to be created, and new solutions to be unlocked in support of the United Nations Sustainable Development Goals. Disclaimer: This message (including any attachments) is confidential and intended solely for the person or organization to whom it is addressed. It may contain privileged and confidential information. If you are not the intended recipient, you should not copy, distribute or take any action in reliance on it. If you have received this message in error, please notify us immediately by telephoning or emailing the sender. This footnote also confirms that this email message has been scanned for the presence of computer viruses.